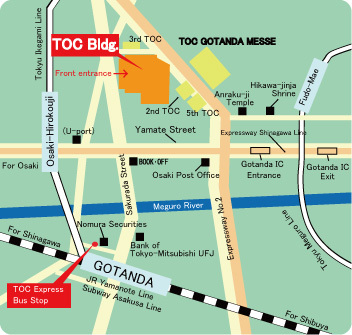 “TOC Express”, a shuttle bus between JR Gotanda Station and TOC Buildings is available. “TOC Express” is operated at about 8-minutes intervals from 8 a.m. to 8 p.m. on weekdays. 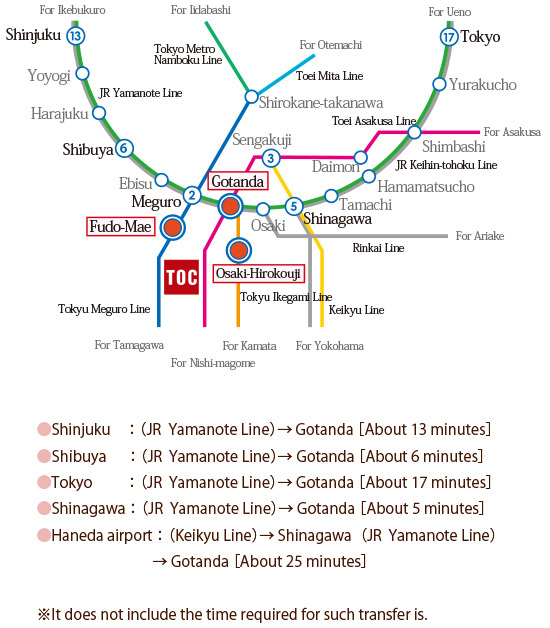 “TOC Express” timetable is here.